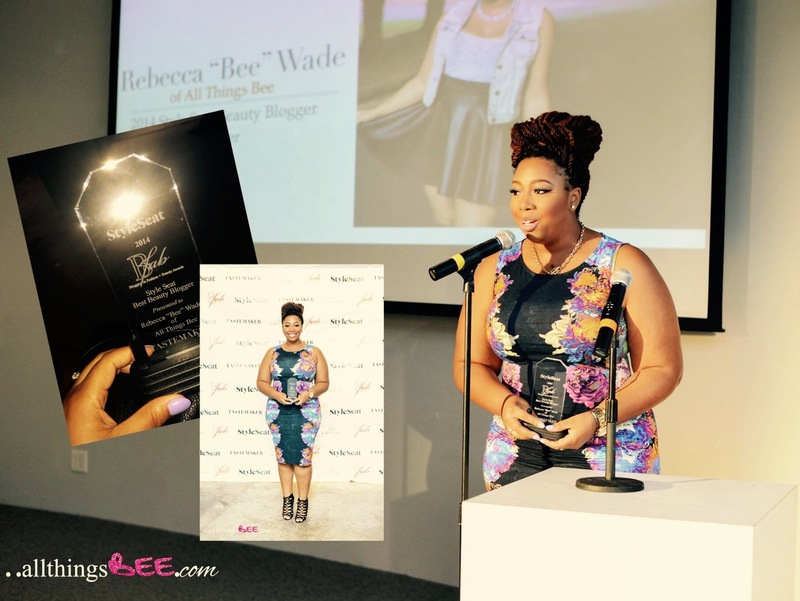 Tastemaker Magazine’s B.FAB Awards Photo RECAP + The Award for BEST BEAUTY BLOGGER goes tooooo?! ….Rebecca “Bee” Wade of www.AllThingsBee.com! Yes, I friggin’ WON! How crazy is that?! Rebecca B. Wade – WINNER!!! WHOOP!!!! Check out all that amazing-ness listed above and see why it’s such an honor to have been chosen. Surreal! Click on the Category’s to view the nominees. If I list everyone, this blog post will go on until tomorrow. Thanks again to Tastemaker Magazine, StyleSeat, Lexus and V103!